“Community is not just where you live. It’s how you live with other people.” -Tommy Rueff, Director, Happen Inc. 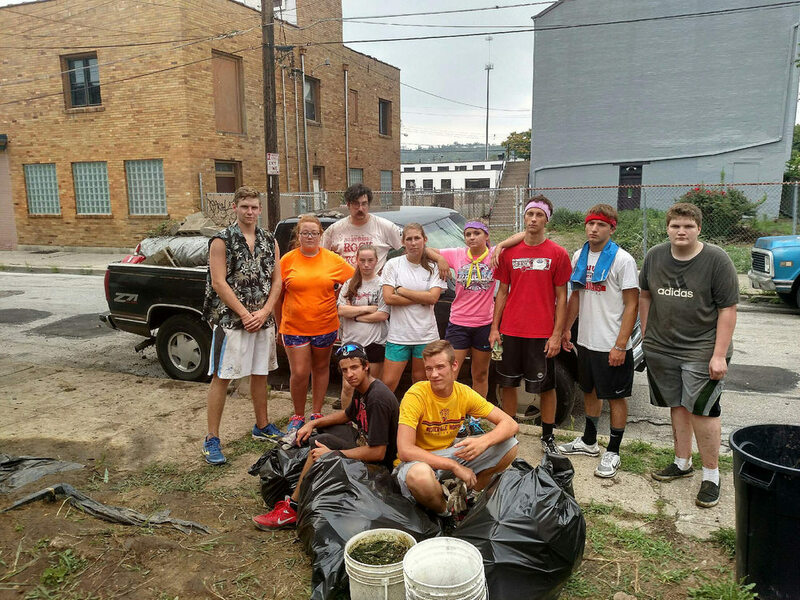 I recently had the privilege of taking forty of my high school students to Cincinnati for a number of service-oriented projects. While we visited a number of different neighborhoods–including Over the Rhine–our home for the week was located in the Northside neighborhood. If Community is what you’re after, then Happen, Inc. is a great place to start. I’d like to zoom out a bit, though, and share how the context of Happen, the Northside neighborhood, has even more Community-oriented lessons to teach us. Consider: How can the design and function of the public realm enrich our understanding and practice of Community? Hamilton Avenue (US-127) is the main street going through Northside. And it is beautiful. You’ll notice how the buildings frame the street and offer a real sense of place. You'll notice the wide sidewalks, or how the right-hand lane is often used for vehicle parking. Each of these features put the neighborhood at a human scale. They make the place more livable. They enhance the community. Would you believe me, then, if I told you the the Average Daily Traffic (as of September 2013) for Hamilton Avenue/US-127 was 20,826 vehicles? Nearly 21,000 vehicles per day traveling on this two-lane highway. With crosswalks. With wide sidewalks. With the right-hand lane being used for parking throughout the day. With no left-hand turn lanes. The design speed of this corridor by no means exceeds 30mph, and yet a large number of vehicles continue to use this highway. North Main/IL Route 2, looking north. Compare Hamilton Avenue/US-127 in Northside with a Highway closer to my neighborhood in Rockford. This is North Main Street/IL Route 2. You’ll notice the buildings on the left, not the right; they were bulldozed to make way for a recent road widening/roundabout project. You’ll notice the sidewalks, but you don’t see anyone walking down them (To be sure, this photo was taken in March. Still, it is very rare to see anyone using these sidewalks in any season, constructed over three years ago.). No on-street parking here, that’s an accident waiting to happen. And, if it all possible, there are no left turns. Right-in, right-out is the way to go. This area must move a lot of traffic quickly, right? There’s 50 feet of pavement to help accomplish this. Still, the latest ADT numbers for Main Street/IL Route 2 are 8,200-14,800 vehicles. 6,000-13,000 vehicles less than Hamilton Avenue's ADT. Every single day. Tommy’s quote is largely irrelevant here. Doesn’t matter where you live; you have four lanes of pavement to take you to your suburb of choice. No need to consider how you live with other people here; just drive through, and continue on your way. Auto-oriented development, as Chuck Marohn says, is an experiment. We’re allocating a lot of resources at the municipal and state level towards the experiment. If Community is what we’re after, however, particularly in Rockford’s North End, I’ll contend that there are more small-scale, responsible, incremental, and tactical ways of attaining it than on driver-centric initiatives. Newer PostWe've Done Ponzi Proud. Pedestrian Collision Research: Next Steps. The Traffic Circulation Plan, Continued: Evolution, Current Strategy and Challenges. The Traffic Circulation Plan: Elements, Implementation, Effects. Can Incrementalism Fill Sidewalk Gaps?